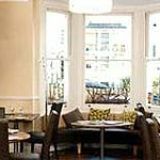 New Steine Bistro is a cosy little restaurant located within the New Steine Hotel. Try heading there in the morning where you can start the day with their AA award-winning continental or traditional cooked breakfast. 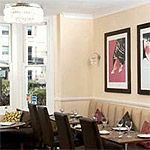 In the evening New Steine Bistro offers classic French cuisine alongside British favourites. 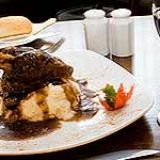 Do you work at New Steine Bistro? 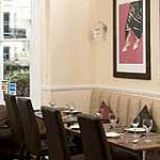 What did you think of New Steine Bistro? This place is tiny. I happen to like an intimate atmosphere and the food was good but beware some may find the place too cramped.